There is nothing better than an art project that yields beautiful results while also getting kids actively moving and having fun with a cool tool. 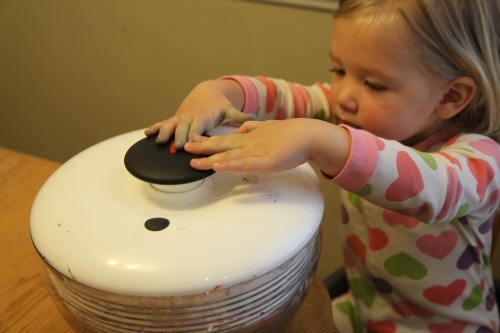 Salad spinner art is a favorite activity with my kids because the salad spinner is so exciting to use! 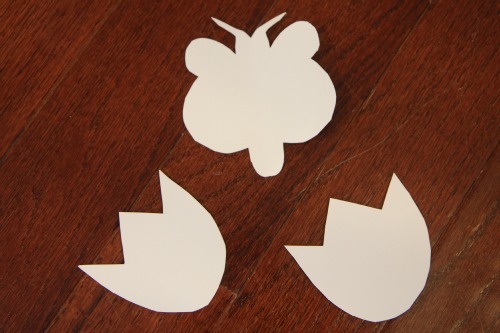 This week we decided to cut up some spring shapes and drop them into the salad spinner and see what happened. 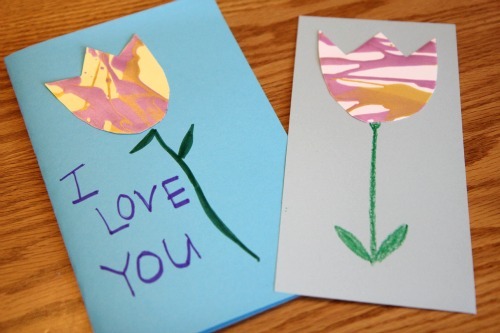 All you need is a salad spinner (or a spin art machine), scissors, cardstock, and liquid watercolor (or lightly watered down paint). 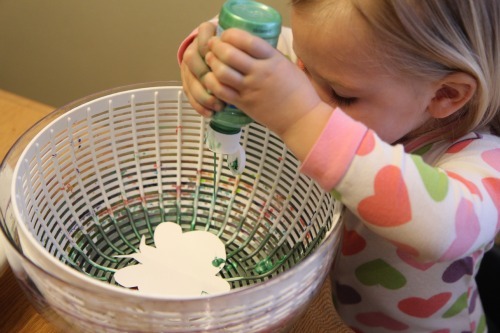 First, we cut out different spring shapes (tulips and butterflies), and then we dropped them into the salad spinner along with some paint. Then, we shut the lid and made the salad spinner go around and around and around (the best part of the activity). Once we’d spun each spring shape and sufficiently covered it with paint, we took each of them out and let the images dry. We loved the results and used our spin art creations in a lot of different ways. We stuck them on little cards, wrote notes, and attached them to plates of cookies for friends. 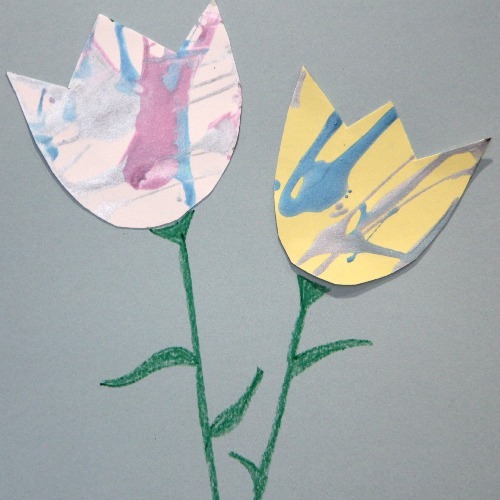 We also just created some spring art scenes to hang around our house. If you love garlands, you could easily string these shapes up with some twine to make some pretty spring decor. 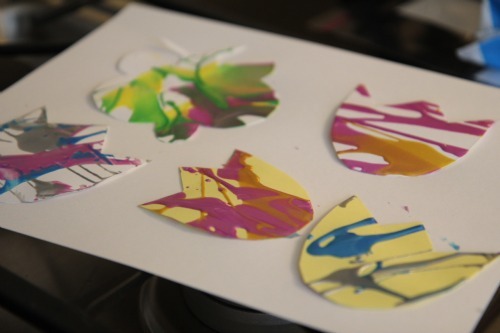 In addition to using paper, we also love to do coffee filter spin art and cut them into different shapes once the paint has dried. Do you have a salad spinner? Have you ever used it for spin art? What else could you make with your spin art creations? Kristina is a mom of 3 and a former Special Ed teacher for children with communication disabilities. 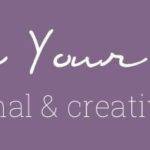 She blogs at Toddler Approved as she looks for ways to make life a little more fun and creative with her kids while embedding learning into everything that she does. Kristina tweets as @ToddlerApproved and can be found on FB and Pinterest.